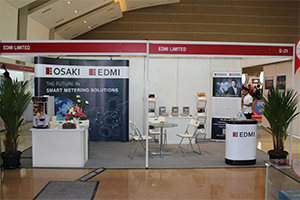 EDMI continued Osaki’s proud, 30-year tradition of Indonesian trust and confidence with a successful display of its world-leading smart energy meters at Indonesia-Japan Expo 2013. 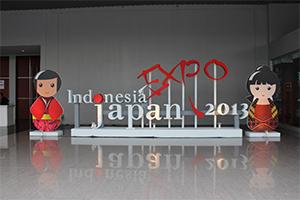 Indonesia and Japan’s 55-year friendship is the envy of many, and this year’s exposition continued that partnership, with Indonesia inviting Japanese companies to exhibit their latest advances. The event carried the theme of “Smart Community: Be Smart, Be Inspired”, and more than 100 Japanese companies participated. EDMI is a wholly-owned subsidiary of Osaki and their contribution of their Atlas and Genius series of advanced, three-phase smart meters certainly fit the expo theme. 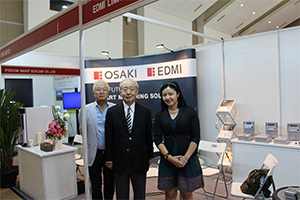 Their smart flexibility and reliability inspired booth attendees and, along with Osaki’s long established relationship with Indonesia and PLN, has further improved EDMI’s reputation in the region. 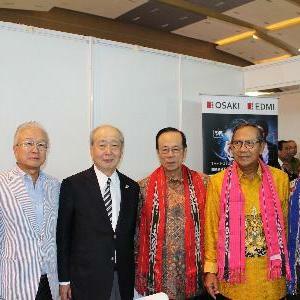 Long-serving Osaki Chairman, Mr Yoshihide Watanabe, was pleased to be able to meet prominent guests at the EDMI showcase, from both Japan and Indonesia. Among the many honoured guests, Mr Watanabe shared EDMI’s products and vision with his Excellency, former Prime Minister of Japan, Yasuo Fukuda, along with Mr. Yoshinori Katori, Japanese Ambassador in Indonesia, and Professor Ginanjar Kartasasmita, Speaker of Indonesia’s Regional Representative Council from 2004 to 2009. In addition, Mr. Rachmat Gobels, Chairman of Indonesia Japan Friendship Association, visited the booth as well and has given his deepest gratitude to OSAKI and EDMI for participating in their grand event. It was a great honour for EDMI to be part of a symbiotic relationship history that embarked the future of Indonesia’s next generation.